From my dyno testing the BMS tune seems to favor back pressure from the stock down-pipe. It made just as much torque as i did with the stock motor (221WHP 278WTQ) , but i did pick up 9WHP peak with the aftermarket down-pipe (230WHP 280WTQ) . Overall the BMS is an awesome plug and play tuner for those wanting to keep a stock motor. I shared my dyno results with Terry Burger and he told me that with higher octane fuel such as an E85 mix we would see much higher numbers. The tuner quoted me $350 for the tune and the shop charges around $100 an hour for dyno time, so we are looking at around $450-$550. It will be Daniellina and i, so we may be able to work out a deal for doing both cars. 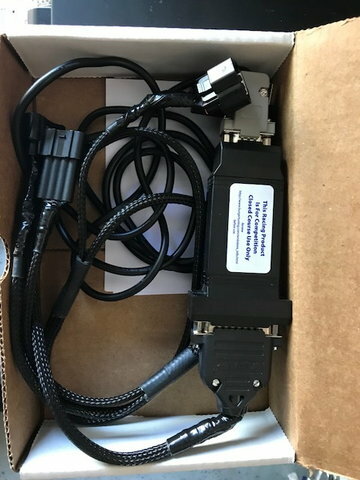 I just loaded my TTI Stage 2 since it got better results than 2+ on my particular car, so my BMS w/ data cable is for sale if anyone is interested please PM me. So what are your actual TTi stage two + gains in hp and tq over the downpipe baseline? Stage 2+ numbers are not defined since I did have a failing regulator 238WHP 263WTQ and down-pipe baseline was 232WHP 234WTQ. Stage 2 best was 239WHP 273WTQ, but that was with a sport catted down pipe. So then stage two gives you about a 7-10whp while stage two + is to be determined. Did you have the chargepipe or hps intake with the runs or only a downpipe? I had the HPS intake tube w/ K&N drop in and SPOWER catted down-pipe for my Stage 2.Stage 2+ and BMS testing I no longer had the HPS intake tube, but I have an F Sport filter, charge pipe, turbo muffler delete and PPE de-catted down pipe. Happy New Year everyone! Hopefully this year can bring us some more results! mine was tuned by the bitbox. I didn’t know ECUTEK was an option, that’s good since there’s a few local tuners that use it! Is the AFE Scorcher GT suitable for a stock vehicle? Or do I need an exhaust/downpipe/air intake? It can be used on a completely stock motor. Also take a look at the Burger Tuning Stage 1, it has dyno proven power gains on the stock motor as well. Ah got ya. The AFE actually had some modifications when they did their dyno. I believe they had an axle back exhaust and intake. I know the axle back doesn’t do much for performance, but I’m sure it makes a slight difference. These were the results on a bone stock motor.